Bishop Gene Robinson of the Episcopal Church has been called upon to deliver the Invocation to Sunday’s inaugural kick off event, the precursor to Tuesday’s presidential inauguration. 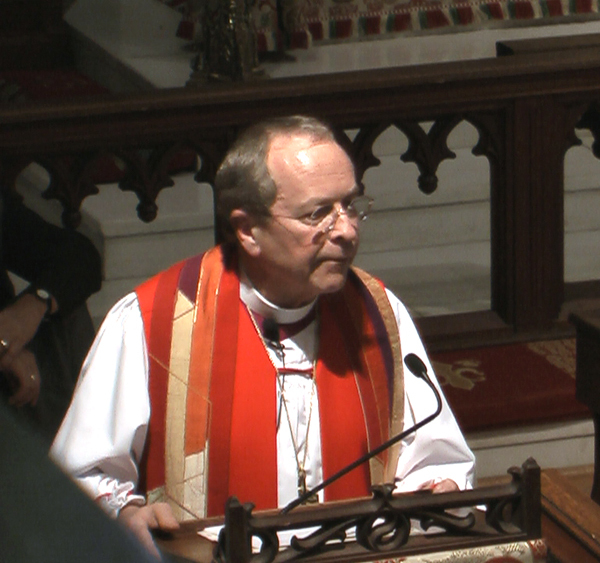 In 2003 the Episcopal Church made history when Bishop Robinson was consecrated as the Church’s first openly gay bishop. Last month, Evangelical Pastor Rick Warren was chosen to give the invocation to Tuesday’s inauguration; a choice that angered a large number of Obama’s supporters. In a telephone interview [with the New York Times] on Monday, Bishop Robinson said that he believed his inclusion in inaugural events had been under consideration before the controversy erupted over Mr. Warren but that Mr. Obama and his team were also seeking to heal the pain that Mr. Warren’s selection had caused among lesbian, gay, bisexual and transgender advocates. We applaud Bishop Robinson’s inclusive reaction and look forward to what he has to say.